This e-mail was recently forwarded to me, and I just had to share it with all of you. 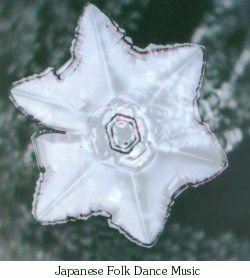 Many people have by now seen or heard of Dr. Masaro Emoto, who has done the most groundbreaking studies of water to show and prove the power of conscious choice and directed thought, feeling, word, and deed. Below are some examples of his findings. 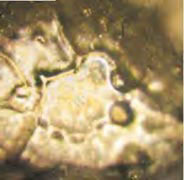 For those of you who are very familiar with his studies, please have another look. One can never see this enough times. 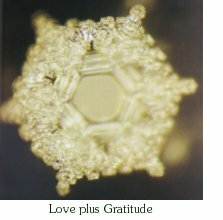 Until one’s consciousness is 100% love and loving, 100% of the time, seeing this study (and ones like it) will continue to transform your life as it does your consciousness. Enjoy!! 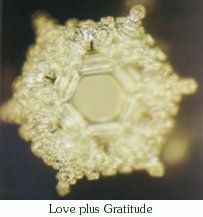 Dr. Emoto took water droplets, exposed them to various words, music, and environments, and froze them for three hours. 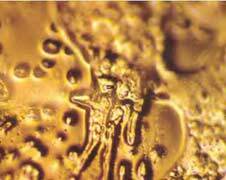 He then examined the crystal formations under a dark field microscope. And he took photographs. The results were totally mind-blowing. 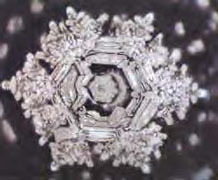 Dr. Emoto also exposed water to Heavy Metal music. Here’s how it looks like. Looks sad if you ask me. 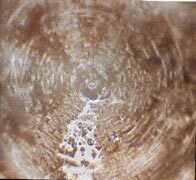 Here’s water exposed to Japanese folk dance music. Looks much better, right? This is water from Lourdes, France. Utterly beautiful, right? Wait A Minute—Aren’t You Made Up Of Water? Yes! 72% of your body is made up of water. Imagine how your words affect your own body. When you say, “I’m a failure,” or “I’m hopeless,” or “I won’t get well,” imagine how these words weaken your health. Make a choice to say the best words out there. Say often, “I’m wonderful,” “I’m beautiful,” “I’m God’s child,” and “God has a great plan for my life!” It’s not only water. 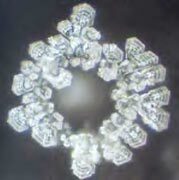 Dr. Emoto also experimented with cooked rice. He placed one cup of cooked rice in two airtight jars. 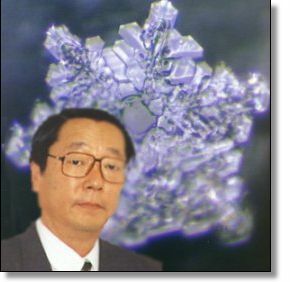 On one jar, he wrote, “I love you,” and on the other, “You fool.” Everyday for 30 days, Dr. Emoto would say these words to each jar of rice. After 30 days, the “I love you” rice was still white. But the “You fool” rice was so rotten, it was black. How can you explain this? Speak only love. Think only love. Feel only love. Choose only love. Act only love. Spiritual relationship between words and happenings. thank you we will try the experiment.